Who should lead Brazil, Dilma Rousseff or Marina Silva? Who should lead Brazil, Dilma Rousseff or Marina Silva? 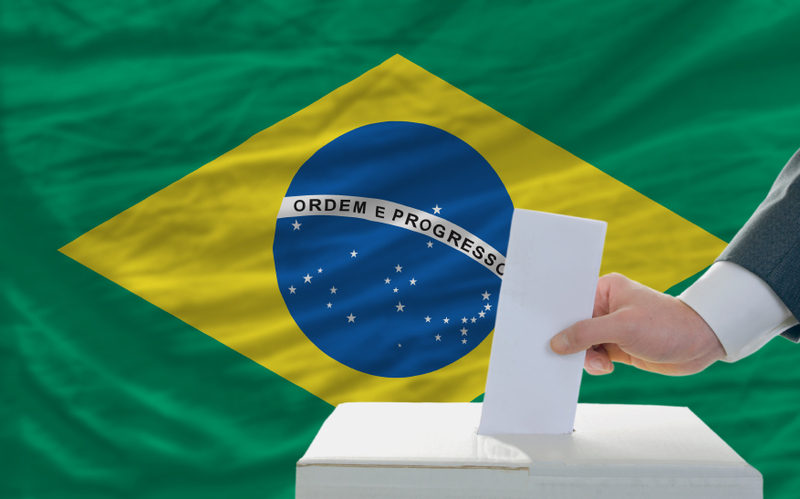 Which of the two frontrunners in the October 5 presidential elections will do what it takes to turn Brazil around and pull one of the most important economies of the emerging market world from the slump it’s been in over the past few years? For investors who have been down on Brazil in the tenure of current president Rousseff, the pendulum seems to be swinging in favor of Silva, a former environment minister who came into the limelight in August after presidential hopeful Eduardo Campos and environmental party candidate died in a plane crash. Silva has outlined a market-friendly plan that both businesses on the ground in Brazil as well as foreign investors believe will spur productivity and encourage investment, both of which seriously tailed off under Rousseff. “Rousseff has overseen a period of the weakest economic growth under any Brazilian president since the early 1990s,” said Neil Shearing, chief emerging markets economist at Capital Economics in London. Although Brazil has been impacted to a large extent by the global slowdown, in particular in the commodities space, several policies undertaken by the Rousseff administration have also contributed largely to its economic woes, Shearing said. Inflation has risen and the public sector budget deficit has grown. Certain policy decisions have negatively impacted industries like utilities and though Rousseff had hinted at helping the ailing Petrobras (Brazil’s state-owned oil company), which is losing a lot of money from importing refined products, that did not come through, and the overall uncertain environment has held back investment spending in Brazil, both domestically as well as from overseas. Brazil needs a holistic overhaul, Shearing said, an intense program of structural reforms that would address a range of issues and kickstart economic growth. Whether Silva is capable of that remains to be seen and for now, the race is extremely tight, meaning that the election will in all likelihood go into a second round on October 26th. Nick Cowley, Portfolio Manager, Henderson Global Investors: “If Rousseff wins, we believe that the market is anticipating more of the same. Some believe she will be slightly more conciliatory toward the business community and perhaps push through a price mechanism for Petrobras. There’s also a hope she may be more realistic with respect to infrastructure programs in terms of the returns that investors can get on projects, since Brazil badly needs infrastructure and in her first term, the interest rates were just not attractive enough for most investors. It is hard to imagine things can be materially worse if Rousseff gets a second term, but nevertheless, government finances are still under pressure, even if the Brazilian economy will continue to muddle through as it has been. In terms of Silva, no one really knows what she will deliver. She has talked encouragingly about pushing through reforms but what we as investors are struggling to see right now is how strong a position she will have if she wins, as Brazilian politics are very fragmented. There are more than 20 political parties and whoever wins this election will have to form coalitions, which means that getting things done will not be easy. The market, of course, has been rallying ahead of elections in anticipation of a Silva victory and many have compared her to India’s Narendra Modi, who had a very strong mandate when he was elected. However, whether Silva is the kind of leader who can push things through the way Modi is able to remains to be seen. Angela Bouzanis, Country Expert, Brazil, FOCUSECONOMICS: “Rousseff has signaled that she won’t drastically alter economic policy if reelected. She argues that the waning economy is due to external pressures and cites Brazil’s low unemployment rate as a reason to continue with current policies. However, she has hinted at possible new government appointments and similar small changes. Silva has vowed to reform Brazil’s political establishment and overhaul economic policy. Silva has advocated for decreased government spending, creating an independent Central Bank and reforming the Bank’s currency intervention scheme, which has distorted the price of the real. This change in policies could potentially improve investor sentiment and provide the economy with a more solid economic foundation going forward. However, whether the winner will make a marked impact on the economy is hard to tell. If Rousseff follows her campaign promises, then only small changes to her current policy should be expected with no large scale-economic reforms. Rousseff departed from [predecessor] Luis Inacio Lula da Silva’s economic policy by trying to stimulate the economy through tax breaks and attempting to control inflation through currency along with fuel and energy prices in addition to traditional monetary policy. Nevertheless, Rousseff has proven that she can rule Brazil effectively and push legislation through Congress.